New technology is required in finding, segmenting, managing and finally satisfying customers. Finding cross-selling and up selling opportunities is another huge challenge. Distinguishing services is what customers look for and they do not mind paying a premium for the same. Salesfundaa Real Estate CRM software for this industry sector facilitates change, since it possesses the agility which is necessary to meet the changing customer and industry requirements. It increases customer loyalty and helps fulfill the informed customer’s expectations. Salesfundaa Real Estate CRM software has the agility which is necessary to meet the changing customer and industry requirements. It increases customer loyalty and facilitates change which is associated with the informed customer’s expectations. Effective Communication: Salesfundaa Real Estate CRM software facilitates structured sales process which is deemed vital by providing companies with several tools and mechanisms needed for effective communication management with prospects. Customer Segmentation: Salesfundaa Real Estate CRM software facilitates segmentation which allows companies to focus and cater to the particular preferences and needs of each group. This further enables the implementation of effective campaigning by targeting the selected groups and leads to comprehensive planning and budgeting instead of targeting one big heterogeneous group, having smaller, specific groups in order to increase overall productivity & maximize ROI. Document management: Salesfundaa Real Estate CRM software document creation and management tools make document handling and management easy, leading to better organizing of all kinds of important data. 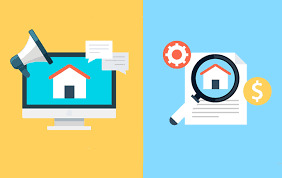 The system helps centralize documents vital to the real estate sales and closing process. Salespeople and other key users can then create contracts and other documents for each transaction. The most dramatic benefits are seen for companies operating multiple property sites. Property administration: Only a web-based site administration tool could make it easy to create and manage each property in the company’s portfolio, from basic address information to floor plans, upgrading of packages and status details of each unit in the property. This is a crucial step to automating sales process. Market Intelligence: It provides real time pricing and inventory information, thus helping to optimize prices, maximize profits, and capture potential lost revenues. Call Salesfundaa CRM for Real Estates to improve service operations, increase up selling by capturing, tracking and resolving issues in a unified system.